As the gentleman says in the video, parts of this road “look like Beirut.” Potholes galore. And like many councils in New South Wales, Campbelltown doesn’t have much money for road repair. So they’ve turned to Fulton Hogan and EZ Street cold asphalt. 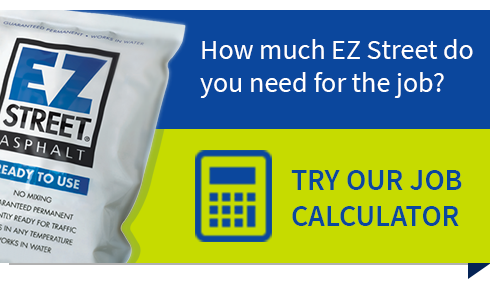 In pavement with lots of potholes that isn’t yet slated for replacement, EZ Street asphalt is the quick, easy and permanent solution. Just sweep the hole of debris. If there’s water, no problem. They simply throw the product in the hole, compact it with a shovel, and move on. Later, they use a compactor to further compact the product. And the repair is guaranteed permanent.